Fee Structure BS & MA/M.Sc. 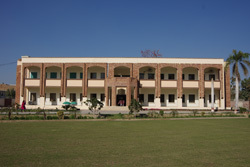 The Government Sadiq College Women University Bahawalpur is one of the most prestigious and well known institutions of the southern Punjab for women. It was named after its founder Nawab Sir Sadiq Khan Abbasi V. The GSCWU Bahawalpur is dedicated to forest academic environment that enriches the personal, professional and academic lives of female students, staff and faculty. It seeks to establish high quality in teaching and research in ornamenting the women with the jewel of higher education and illuminates the area to revive its past glory. 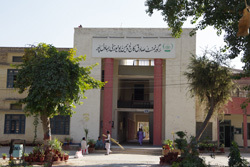 The Government Sadiq College Women University Bahawalpur was founded by Nawab Sir Sadiq Khan Abbasi V as an intermediate college for women in 1944. Later on, in 1957 it was upgraded as a degree college for women. Keeping in view the growing needs of higher education for women in southern Punjab, Masters Programs were initiated and it was upgraded as post graduate college for women in 2010. In December 2012, The Government Sadiq College Women University Bahawalpur (Act VIII of 2013) was passed by Punjab Assembly and assented by the Governor of Punjab on 3rd January, 2013. On 28th August 2015, Prof.Dr. Talat Afza became the first Vice Chancellor of The Government Sadiq College Women University Bahawalpur. Her vast international, academic and administrative experience is being beneficial for the newly established university.